Filed under: ICT4D , Personal - Ethan @ 6:21 am I'm in Budapest today, enroute to Tunis for the ... A meeting to plan that summit was banned by Tunisian authorities , who prevented Tunisian and European activists from entering the Goethe Institute, where the meeting was being held. 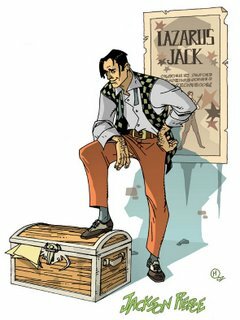 i am a french reader of Lazarus Jack and i found it very strange and interesting . I liked this work very well. i suppose that it is your only work edited in France, isn't it ? I have an ask about your book and specially about a page in the cardinal office . I suppose that it is your interpretation of the painting in the novel of arturo perez reverte. I found this interpretation most interesting than the cover of the novel, most respectuous of the original text . What is your reason for drawing this interpretation ? a game, an hommage, a challenge ?